KitchenAid toaster seen with 2 toast sizes. The KitchenAid KMT4116CU is a 4 slice long slot toaster with high lift lever. It measures 7.7 x 16.5 x 8 inches and weighs about six pounds. And yeah, it is a pretty darn expensive toaster. Again, just like with this espresso maker, this coffee grinder, and the Vitamix 6300, sticker shock set in for me. After I did the research, however, I came to understand exactly why these small appliances had large price tags. In this case, we’re talking about a toaster that has a price tag that is much more than what you’d come across in your favorite department store. Naturally I was intrigued, and I couldn’t wait to find out what made this toaster so expensive. Below, find out what I think about this KitchenAid toaster, and why it cost so much. I was doubtful when I started out researching the KitchenAid KMT4116CU. You see, Sarah and I have this basic Toastmaster toaster from like 12 years ago. Sure, it’s terrible, we need a new one, but not for one second did I think we’d spend boatload on a toaster. It’s just toast, or so I thought. Perhaps we are neglecting our palettes a bit. Maybe there are “levels” to this toast thing, and just maybe, like coffee, toast too is nuanced. Before I could even consider spending a bunch of money on a toaster, I had to understand why the cheap toasters were no good. Research enlightened me. 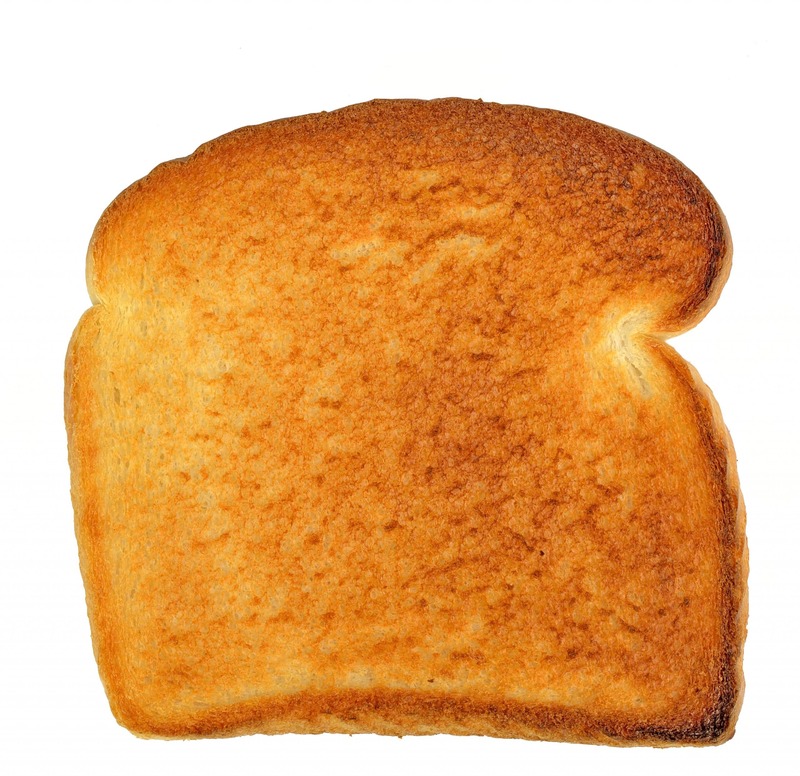 Cheap toasters are bad for so many reasons: slow to toast, uneven browning, not durable, faulty heat elements, small slot openings, and inaccurate browning range dial (have you ever had to run a toast cycle twice for the same bread?). I’ve read all sorts of reviews for many of the cheaper, run-of-the-mill toasters, and it’s the same thing over and over again. Cheap toasters are unreliable pieces of junk. What makes the KitchenAid KMT4116CU worth the money? This KitchenAid toaster isn’t your run of the mill, basic toaster, but is it worth spending almost a bunch of money on? Well, the KitchenAid KMT4116CU has nice convenient features, durability, and it does everything that your cheap toaster can’t do, and, it looks good doing it. It has 2 long slots that are 1.5 inches wide. Each slot is long enough to fit 2 standard slices of toast. These larger slots give you more flexibility over the type of toast that you can choose. The “keep warm” feature keeps your toast ready to melt butter or spread for up to three minutes after it’s finished. For people that freeze bread, the “defrost” setting will come in handy. The cheaper toasters have inaccurate shade dials. But the KitchenAid KMT4116CU has 7 individual shade options. This lets you accurately choose your perfect toast setting every time. You can also choose from bagel, defrost, and keep warm settings. This toaster is convenient as well, it has a removable crumb tray, it is easy to clean, and its cord can be stored underneath the base. The high lift lever is another convenient feature: it allows you to check on the progress of your toast without turning off the heating elements. This is one good-looking machine. Unlike the boxy looking standard toasters, this one has contours. This appliance stands out, and will probably get you some compliments. On the other hand, its size, 7.7 x 16.5 x 8 inches, is going to take up a bit of real estate on your countertop. KitchenAid KMT4116CU: What Do The Customers Think? Many customers think that the toaster settings are accurate and do a much better job than their cheapo toaster. There were, however, as there is with any product, some poor reviews. At least one customer complained that instead of the “keep warm” setting keeping toast warm; it just keeps on toasting, resulting in burnt toast. There were some complaints that were made by several reviewers; the top of the toaster gets very hot and this toaster is pretty large. However, a lot of the customers seem to be excited about owning this toaster. They complement its attractive design, and colors: black, red, and silver. They love the thoughtful features, and point to how the extra-long slots give them freedom to choose the thicker artisan breads, for example. I think that this toaster is a good buy. Certainly, most people would roll their eyes at the thought of spending a boatload of money on a toaster, but maybe this toaster is worth it for you. Now I understand why this toaster cost so much. For the added cost, you get more consistent results, and undeniably convenient features, i.e. removable crumb tray, wide toaster slots. If you are serious about buying a high-end toaster this seems to be a good option.